Is your garage door not operating smoothly? Are your door cables broken? If yes, Whitby Garage Doors is here to assist you. Ours is a leading overhead door installation company that is proudly serving both residential and commercial clients with high quality cable repair and replacement service in Oshawa and Whitby. Whether its frayed cables or the worn out ones, we have got all your needs covered. Since cables ensure smooth and efficient performance of the garage door, we make sure they remain at the peak of their function. We have a team of licensed overhead door technicians who are committed to deliver durable cable repairs. 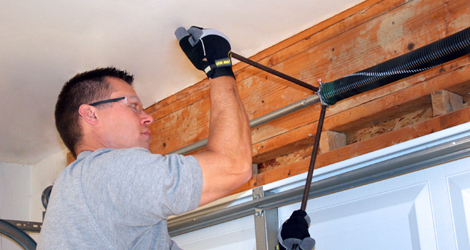 Our professionals are here to make sure that your entire garage door system performs smoothly and efficiently. Being your locally owned and operated company, our Oshawa based garage door cable repair experts are dedicated to provide 100% reliable cable services. No matter, you own a sectional or roller door on your residential or commercial premises, we are available 24/7 to deal with emergency cable replacement services. Our door technicians have the right knowledge and expertise to handle all the major cable brands and door models. Garage door replacement service in Oshawa is not at all a do-it-yourself job as there is a great risk of safety hazards. Call Us To Schedule A Garage Door Cable Replacement!